SBA Loan Rates - Current SBA loan rates for small businesses via the 504 and 7a program. SBA 7a Loans - Commercial building loan for real estate or business loan for working capital, business debt consolidation & business uses. SBA 7a Loan for Physicians - SBA loan for medical practice financing, partner buyout, equipment, commercial building loan and/or construction. Renewable Energy Project Financing - Non-SBA financing for Renewable Energy Power Production, Power Plants, etc. The SBA 504 is commercial property financing that is available in good economies and bad and isn't just for small business. In fact, 98% of all U.S. Businesses fit the SBA's definition of a small business. If your business has a net worth of less than $15 million, net (after tax) income of under $5 million and you are considering purchasing, building, renovating or refinancing "owner occupied" commercial property then you might consider an SBA mortgage via the 504 Program - especially if you are considering building or remodeling using Solar Power or Renewable Energy. The 504 Loan is a Problem Solver. The SBA 504 - or as it is also known as the CDC 504 loan - is commercial real estate financing that provides solutions for the needs of most small and mid-sized businesses and offers some surprising benefits. The 504 Renovation & Remodel Loan for Commercial Property is great for business expansion or for retrofitting an existing property to suit your needs. In addition to the cost of the improvements you can also finance the closing costs and soft costs and if you are building on land that you already own you can use the land as equity for the transaction. A huge number of property types, occupations and businesses are eligible for an SBA mortgage via the 504 including Attorneys, CPA's, Veterinarians, Manufacturing Facilities and Light Industrial Buildings and most "owner occupied" or "owner operated" businesses. Daycare & Childcare Center Financing - 504 and 7a loans are ideal for the financing of day care centers and child care facilities. Let's say you own a child care or day care center business and there is a piece of property in your town that is in an ideal location, but the building or the property is not right for a day care center...well, the 504 or 7a can provide the financing to allow you to acquire and "reconstruct" or retrofit the property for the needs of your business and possibly at 90% loan to cost. Dental, Orthodontic or Oral Surgery Practice Financing - both programs are also an excellent choice for various types of dentistry practices. Dentists, Orthodontists and Oral Surgeons needing to build a new facility or expand an existing practice will benefit from the ability to finance their building and equipment long term. SBA Hotel Financing and Motel Financing - these loans are still a great option for hotel and motel financing. Maybe you are considering financing the purchase of a hotel or motel and you found an existing hotel that is in the right location, but it needs a major renovation or facelift...and, let's say you want to build energy efficient or alternative-green energy elements like solar energy into the construction so your building will have less impact on the environment and so you can save money and take advantage of tax credits for going green...well, the 504 allows you to do just that. SBA Physician Loans - SBA loan for Physicians, Doctors Offices and Expensive Medical Equipment. If you are a doctor looking to expand your medical practice and the subsequent increase in patients requires not only more space, but the addition of expensive medical equipment then a 504 or a 7a loan should be a good option for you since it allows you to expand or retrofit an existing building to suit the needs of your practice or build a new facility. Preschool, Private School and Montessori School Construction - 10% Down SBA financing is available for preschool and private school construction, renovation, remodeling or refinancing. Pre-schools, montessori schools and private schools previously required more down, but this has been changed as a result of the ARRA - the American Recovery and Reinvestment Act. SBA Loans for Veterans and Veteran Owned Businesses - both loans are also a great option for veterans and veteran-owned businesses in need of commercial real estate financing with loans available up to $12+ million. Ineligible Businesses - Businesses that are not eligible for a SBA financing. The many benefits of the SBA loan programs make them hard to overlook when considering various types of commercial mortgage financing. They offer tremendous benefits for small and mid sized businesses. Perhaps the most obvious benefit is that...they are typically available even in a bad economy. Call us toll free at 1-800-414-5285 to find out how an SBA loan might benefit your business...or fill out a contact form by clicking the button below. 1. The program allows a down payment or equity of as little as 10%. 2. The loan allows you to finance most closing costs and soft costs reducing out of pocket expenses to approximately 10% of the project cost and creating a near 90% loan to cost transaction. 3. The 504 loan enables you to build wealth in commercial property which can be a more secure long term strategy than other investments. 4. The SBA 504 is a commercial mortgage that is fully amortized over a long term with "below market" rates allowing for lower payments. Once approved, there is no balloon, re-qualifying or refinancing necessary later. This saves you the future costs of a refinance and removes any anxiety about qualifying for a new loan at a later date. 5. The 504 enables you to own commercial real estate and take advantage of the significant tax breaks that come with ownership. 6. The program has always had a moderate fee structure. 7. The SBA 504 allows you do to a purchase and renovation of a commercial property in one loan which allows you to "retrofit" an existing property to your needs. 1. New construction and existing buildings that incorporate Green construction into their buildings and facilities are now eligible for much larger 504 loans if they meet the public policy goal of a 10% decrease in energy consumption. Any business eligible for a 504 loan that adheres to green energy policies can now take advantage of the excellent terms afforded by the 504 and the total cost of a green project can be in the $13 to $14 million range. The use of solar panels could be enough to qualify a building for this benefit. 2. Small and mid-sized businesses generating renewable energy or renewable fuels such as Solar Power, BioMass, Hydropower, Ocean Thermal, GeoThermal and Wind can now obtain a commercial mortgage loan to finance the purchase or construction of commercial real estate. And power generation does not have to be your primary business. Any business that is eligible for the 504 program can utilize this significant enhancement. 3. Larger 504 loans are also available to small and mid sized businesses that work with qualified architects and engineers in creating a "green building using "sustainable design" as defined by the Leadership in Energy and Environmental Design (LEED) standards and the Green Building Certificate Institute. In some cases there must be renewable energy production to qualify for maximum financing. SBA 504 Refinance - The 504 program can now be used to refinance owner occupied commercial property. The Economic Stimulus and the American Recovery and Reinvestment Act made an SBA or CDC 504 refinance possible with an expansion and now The Jobs Act makes debt refinances possible starting on February 28th 2011. (Up until recently, 504 financing was only available for purchase, acquisition or new construction of commercial real estate). SBA 504 Loan Prepayment Penalty - How the SBA 504 loan prepayment penalty is calculated. SBA Loan Alternatives: SBA Loans aren't always the answer and there are alternatives...if you have Assets. Asset Based Loans - Asset based loans are a quick way to access capital for your business. The key is actually having an "asset" that can be financed. AB Lending includes Purchase Order Financing, Contract Monetization, Invoice Factoring & the financing of other assets. Our blog discussing the 504 and 7a loan programs and how they can help your business. 90% Financing Possible for Self Storage Businesses with SBA financing. Our ever-growing list of resources to help you better understand the benefits of Green Building. Prefab construction for energy efficient commercial buildings. SBA loans are an excellent low down payment source of liquor store and wine store financing. Funding for renewable energy projects and power plants $10 million and up. The SBA Jobs Bills would bring significant changes to Small Business Administration loan programs. No Doc Commercial Loans - aka Private Money & Commercial Hard Money Loans. 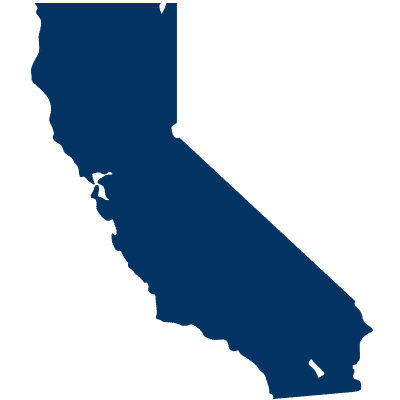 California small business loan program. New SBA "A -" program for businesses who have recovered from the Recession. 100% financing for a Veterinary Clinic, Hospital or Practice. Commercial real estate loans with no down payment. Loans for existing businesses, franchises or medical practices expanding into leased space.